"The office goes over all the options and is not to quick to operate on you." "Dr. Kaplan is straight to the point and tells you as it is." Active Orthopaedics P.C. is a community-focused orthopaedic practice serving the Greater Waterbury region that offers individualized, patient-centered care. Our providers, Dr. Michael J. Kaplan, Dr. Erik J. Carlson, and Ken Miner PA-C, strive to maintain the highest standard of care for patients. We offer a broad complement of orthopaedic and sports medicine services, including total joint replacement, arthroscopic knee and shoulder surgery, specialized hand and elbow surgery, and fracture care. As a practice, we have years of training and experience in treating high-performance athletes and weekend warriors, but work with each patient individually to form personalized treatment plans that fit each patient’s lifestyle and goals. In addition, both our providers and office staff are experienced in the treatment and care of Worker’s Compensation injuries and frequently provide Independent Medical Evaluations and Second Opinions for complex orthopaedic injuries and conditions. Dr. Michael Kaplan and Dr. Erik Carlson are board-certified orthopaedic surgeons who specialize in and have many years of experience in a wide range of orthopaedic procedures and services. Dr. Kaplan, Dr. Carlson, Ken Miner, and the entire Active Orthopaedics team look forward to helping patients and their loved ones quickly and safely get back to work and play. Contact our office or request your appointment online today! Dr. Glassman is now a board certified anesthesiologist specializing in comprehensive and interventional pain medicine. Meet Kenneth Miner, Our Certified Physician Assistant. Ken Miner is a vital part of the team at Active Orthopaedics P.C. and has years of experience in evaluating and treating all types of orthopaedic and musculoskeletal problems and conditions. He is involved in many aspects of patient care, from initial and follow-up visits to routine post-operative care and urgent appointments. Like the entire team at Active Orthopaedics, Ken Miner prides himself in taking the necessary time to explain issues associated with each patient's care and answering all questions. In addition, Ken frequently assists Dr. Kaplan and Dr. Carlson during complex surgical cases and helps perform routine office procedures. Dr. Michael Kaplan and Dr. Erik Carlson have partnered with St. Mary’s Hospital in Waterbury, Connecticut to develop a comprehensive Orthopedic Service Line to improve orthopedic care in the greater Waterbury, Connecticut region. 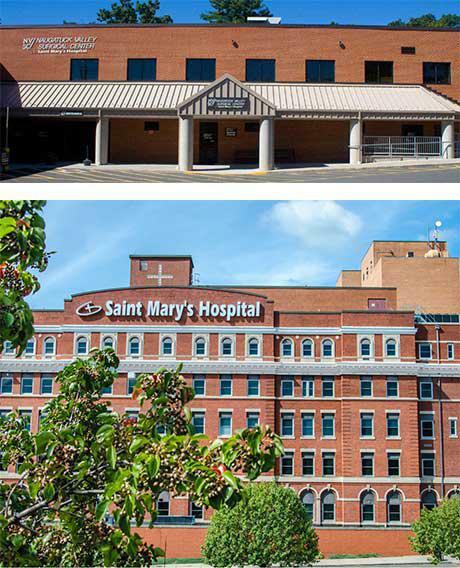 Along with the St. Mary's team, they are guiding the development of initiatives including of a state-of-the-art total joint replacement service, a comprehensive sports medicine program, orthopedic urgent care facilities, and multi-disciplinary inpatient and outpatient orthopedic programs. As Medical Director and Associate Medical Director, Dr. Michael Kaplan and Dr. Erik Carlson continue to provide care through their office in Middlebury, Connecticut and at St. Mary’s Hospital in Waterbury, Connecticut and Naugatuck Valley Surgical Center in Waterbury, Connecticut.